Fr. David Michael is a native of Gloucester, MA. In 1986, after having completed undergraduate and graduate studies at St. John Seminary in Brighton, Fr. Michael was ordained to the Priesthood. His first two assignments were at Sacred Hearts Parish in Bradford/Haverhill and at St. John the Evangelist Parish in Swampscott. From 1997 – 2005, Fr. Michael served as Catholic Chaplain at Brandeis University. In December, 2005, Fr. Michael accepted his first pastorate at St. John Chrysostom Parish in West Roxbury, and, in November, 2010, he was installed as the eighth Pastor of St. Joseph Parish, Needham. Since 1997, Fr. Michael has also served as Associate Director of the Archdiocese of Boston’s Office for Ecumenical and Interreligious Affairs, for interreligious relations. Tel: (781) 444-0245. Fr. Peter L. Stamm, the eldest of three sons born to Geoffrey and Florence, grew up in Washington, D.C. Having graduated from Boston College in 2008, Fr. Stamm spent several years in service to immigrant communities living in Lawrence and Roxbury before beginning studies toward the priesthood at St. John’s Seminary in Brighton. 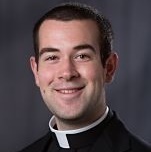 After serving as a deacon at the Natick Collaborative of St. Patrick-St. Linus, Father was ordained to the priesthood on May 23, 2015 and assigned to St. Joseph Parish. Tel: (781) 444-0245. Deacon Bob was ordained to the Permanent Diaconate in September of 2018. He and his wife Susan have been parishioners at St. Joseph Parish since 1988. They have three children - Andrew, Brian, and Catherine - who attended the St. Joseph schools. Bob's professional career has been as a technology consultant and manager in the financial services industry. Bob has a bachelor's degree from Boston College and a Masters in Business Administration from Babson College. He can be reached at rhorne@saintjoes.com or 781-444-0245.